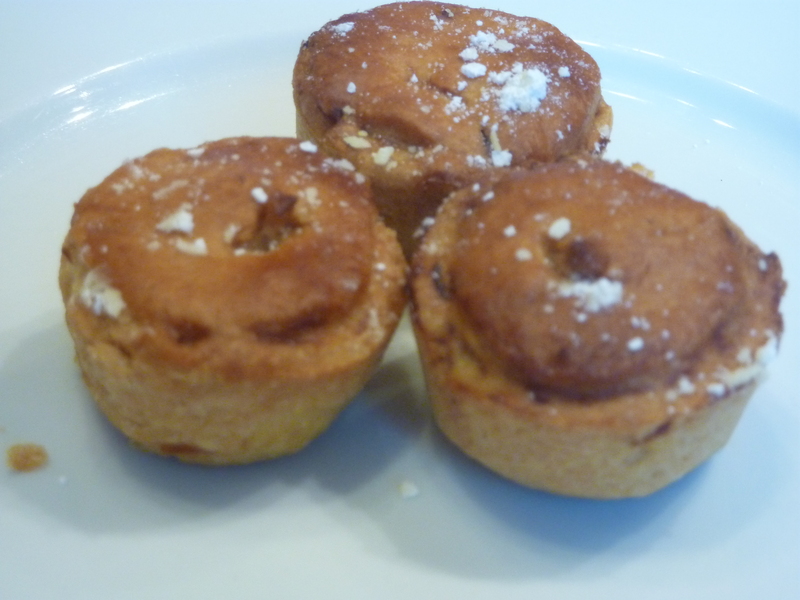 I had planned to make normal-size mince pies, but unfortunately, I didn’t have the right sized bun tins, so I made tidgy ones instead. These have orange pastry, and are filled half and half with mincemeat (with a little extra orange juice) and cream cheese mixed with icing sugar. At this size, they are rather too fiddly for my liking; you don’t want the pastry too thin, and you don’t want to over-fill, but they do taste really nice.